Fall Season Starts Soon – Make Sure You Are Ready! The fall season begins this month. Now is the time to make sure that you are prepared for the season and the beginning of competition. If your computers haven’t been connected to a network since the end of last season, now is the time to do an update. Get them out, power them on and connect them to your network. Go to the Windows Start Menu (or Cortana search bar in Windows 10) and search for Windows Update. Check for and install the updates. You may have to check after each update to make sure that there isn’t a subsequent one that needs to go in. There were a couple major Windows updates released this spring, so it could take a while to get fully up to date. Make sure you do this now! Don’t wait until the day of your first meet to do it. Go to https://www.istime.com/support/ and click on Software Updates on the left side. Click on the version number of the software that you want to update and SAVE THE FILE to your computer or a flash drive. Do not extract or unzip the file, just save it. Make sure that it saves as MWUPDATE.zip or TWUPDATE.zip and does not have any extra characters in the name – like a (1). If it does, it will not install properly. If it saves a MWUPDATE(1).zip, go to the folder, delete any copies of MWUPDATE.zip that you find, then try downloading it again. Now open your IST software and go to Utilities / Update. Select the file that you downloaded and follow the instructions on the screen. You can check to see if you have the latest version by looking at the version number and date on the top of the MEETWARE, TIMEWARE or POLOWARE screen. The version and date should match what is listed on the website. Early in the season, get your hardware out and look it over. Do you see any corrosion? Did any wires get bent, broken, frayed or kinked? Do you see any slices or tears in the touchpads? Do you have all the chargers and power cords that you need? If anything is missing, or you need to clean up corrosion on the metal pieces, go to www.istime.com and click on PRODUCTS. Under each product category you can purchase replacement parts for those items. Under Timing Equipment, we sell Contact Cleaning spray and DiElectric grease for cleaning and protecting metal components. IT’s a good idea to run an early season intersquad meet to test your hardware. That way you know that everything is working, and the kids get a feel for what a real meet is going to look like. It is also a great opportunity to train a new computer operator! Set it up just like a real meet, including the touchpads. Make sure everything is running properly. If you find an issue, look at our Tips and Technical Support page (https://www.istime.com/support/tips-technical-support/) . We have lots of great white papers that tell you how to diagnose and sometimes fix the most common problems that you run into. If you can’t find what you’re looking for, feel free to give us a call at 800-835-2611. We can help you diagnose, and sometimes fix, the issue right over the phone. There are some things that you won’t be able to fix yourself. Fortunately, IST has a 5 year warranty, as well as the ability to repair just about any issue. To have an item repaired, call us at 800-835-2611 and ask for an RMA (Return Material Authorization) number. Once you have that, box up the item and ship it to us. We’ll fix the issue, clean it up, make sure everything is running right and then ship it back to you. Turnaround time is usually a week from when we receive it, but keep in mind that this time of year things get busy. Don’t wait to send in your item for repair or we might not be able to get it back to you before your first meet! If you purchased a new MEETWARE or TIMEWARE disk in the last few years, it came with our training videos. If you don’t have them you can find the same videos on our YouTube channel (https://www.youtube.com/user/IntlSportsTime). We can also set up a training session remotely. 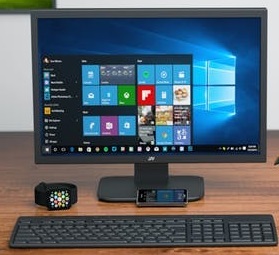 All you need is a computer with TIMEWARE or MEETWARE installed, a copy of TeamViewer (free at www.teamviewer.com), an internet connection and a phone. Set up a time, turn on your computer, log into TeamViewer and then give us a call. We’ll walk you through how to set up and run a meet and answer any questions that you have. We want your meets to run smoothly and we are here to help. Please reach out to me (eve@istime.com, 800-835-2611) if you have any questions at all or need some help. We are always happy to talk to our customers!